Have You Thought About Selling? We Want To Buy Your House In Blue Springs, Missouri! Before you think about listing, find out how much we can offer you! More and more people have realized the benefits of a direct sale. 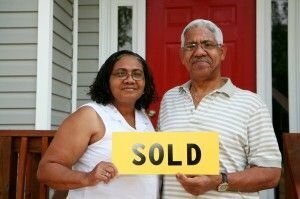 By selling directly to The Sierra Group LLC, you will save time as well as money on agent fees and commissions. We will close on your terms, meaning YOU set the closing date! A direct sale offers more security than a listing. Selling to us, you will know exactly how much you will receive and on what day. When you list, you have no way of knowing how long the home will be on the market, if you will get a decent offer or if it will even sell at all. While you are waiting for a buyer, you will still have to pay the taxes, insurance and utility bills. These are your responsibility until the day of closing! You should also remember that an asking price is simply the amount you would like to get. You might have to make many repairs and even some upgrades to actually get the price you are after. These costs will need to be paid upfront before you list the house. When you sell directly to The Sierra Group LLC, things are much different! We will not ask you to repair the home, make upgrades or even clean up! You have other things to worry about! We want to make you an offer, and if you accept, we will handle everything from there! We have money to buy available now, so you do not have to wait while we secure financing through a bank. This gives you the freedom to close on the day that works best for you! Plus, you will not have to pay any commissions or fees. We are direct buyers. The amount we offer you is what you will receive. There are no hidden fees or charges to worry about. We Can Help You With Almost ANY Burdensome House! We work with homeowners across Missouri, all of whom are facing unique selling circumstances. Do you have a house in Blue Springs that you are thinking about selling? Find out what we can offer you! There is never any obligation! You don’t have to feel burdened or stuck with a home you no longer wish to own. We will answer any questions and will be upfront, transparent and honest throughout the entire transaction!